We love books in this house - it's official! 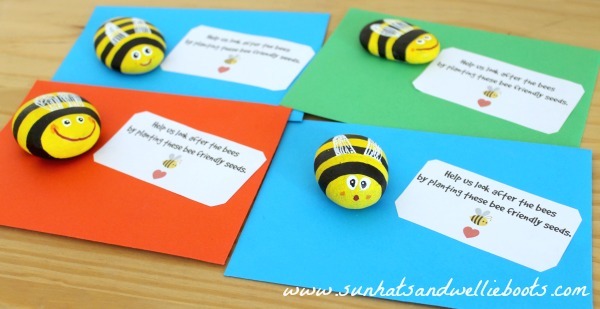 We often share books with friends, passing on baby books & other books Minnie has duplicates of. 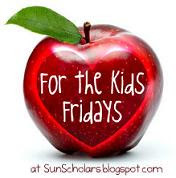 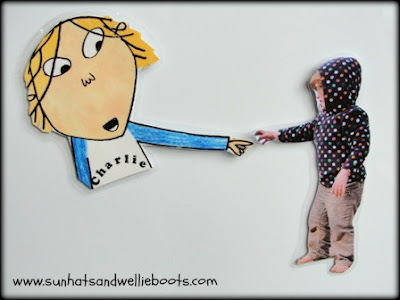 It's a great way to recycle, & share pre-loved tales. 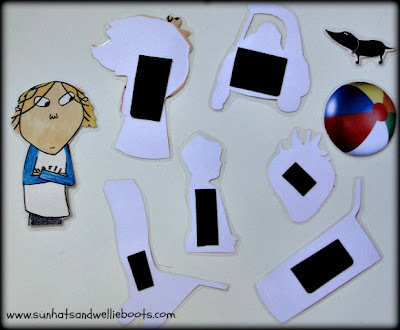 Some books however have been loved more than others & have ended up with folded/torn pages, & even chewed corners. 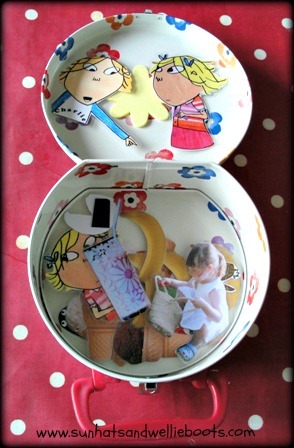 This craft is great for upcycling books just like this. 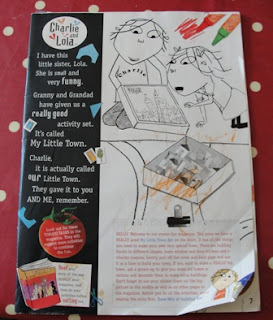 Minnie has recently collected a few Charlie & Lola comics, & I hate to throw them out when she has finished with them. 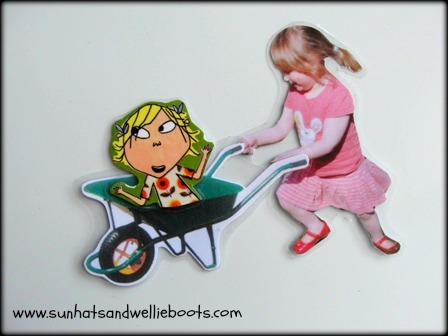 The great thing about these comics is that they often come with a selection of character stickers, which are also perfect for this craft. These story magnets can be made using any favourite comic/book character, we've chosen Charlie & Lola as they are currently Minnie's favourites. 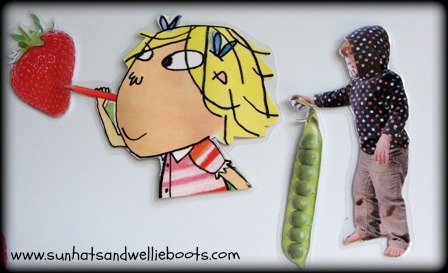 The wonderful thing about Lauren Child's Charlie & Lola series is that she combines cartoon style illustrations with pictures of everyday objects. 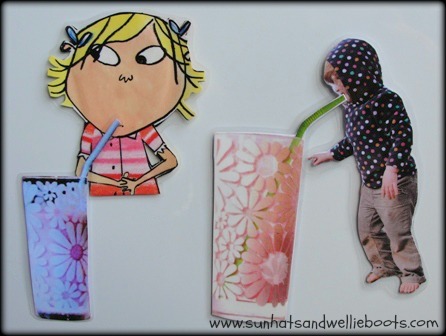 This is why these magnets work so well, you can add any images alongside Charlie & Lola to create the same effect as the illustrations in the books. 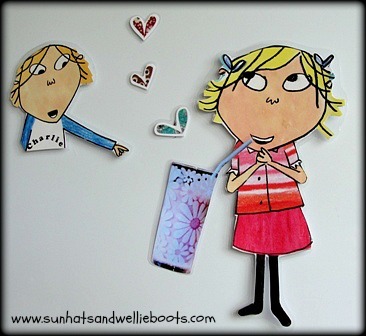 Here are our upcycled Charlie & Lola magnets. 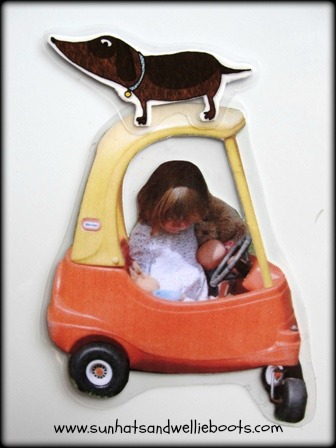 Finally, I found a few 'action' shots of Minnie so printed them, cut out, laminated & added magnets to the back. 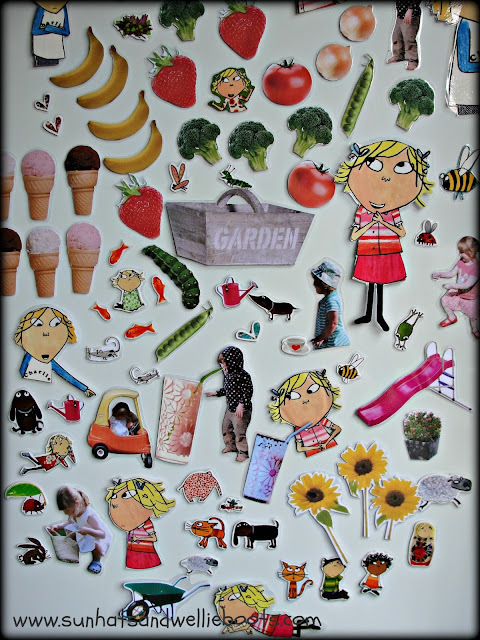 Here's our selection of images & photos to add to our Charlie & Lola magnets. 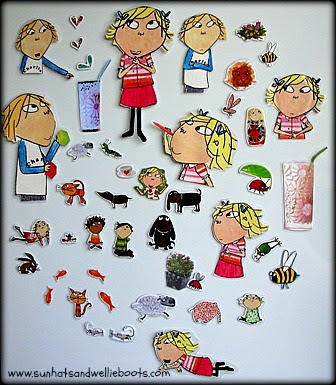 And here's our full set of Story Magnets. 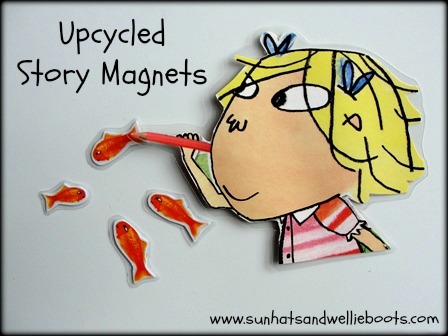 These magnets are great for encouraging literacy, creativity & imagination, exploring emotions, fantasy/familiar situations, encouraging a sense of identity, & so many other areas of learning, including maths. It's pretty neat to star in your own Charlie & Lola story too! ﻿Another great thing about these story magnets is that the characters can take part in different stories/scenarios by simply swapping or adding different magnets. 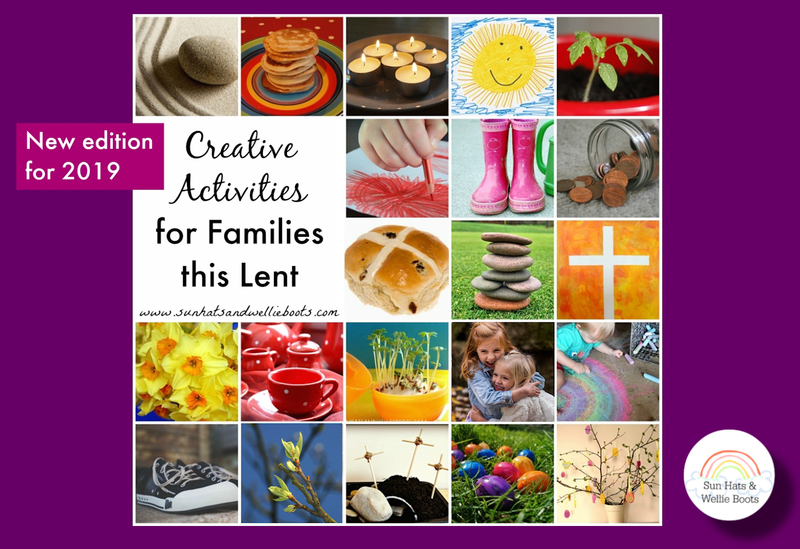 For example, by adding pictures of sandcastles/ buckets/spades/boats/surfers etc & Minnie, Charlie & Lola could be at the beach, or add plates/tables/cutlery/selection of food & they're cooking/sharing a meal. 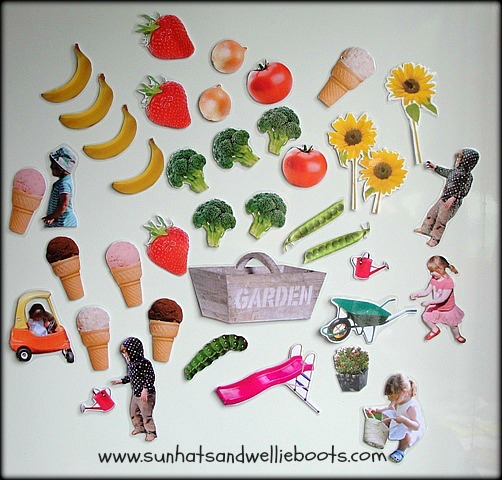 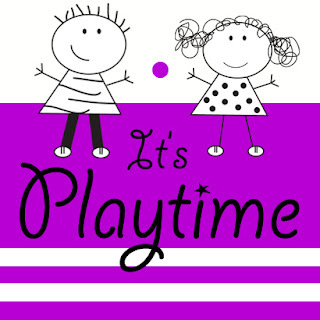 You can create a unique set of play magnets which reflect your child's likes & interests. 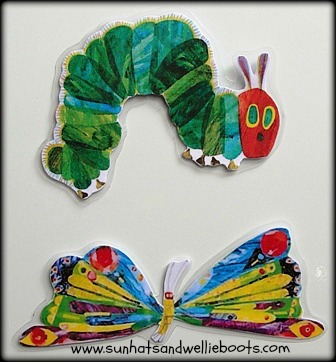 There are so many story characters that would make a great set of magnets; Peppa Pig, Kipper, or how about The Hungry Caterpillar. 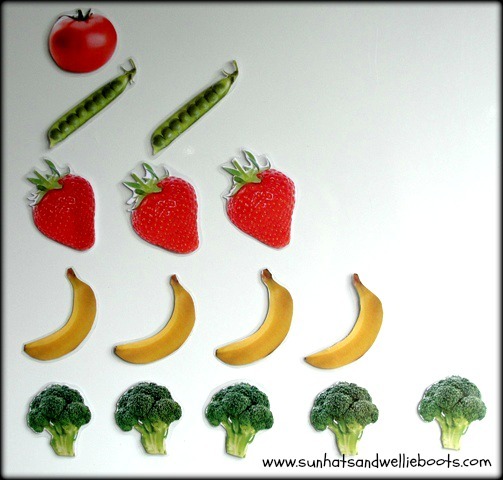 The Hungry Caterpillar's selection of foods would be great to explore, along with the life cycle of the caterpillar. 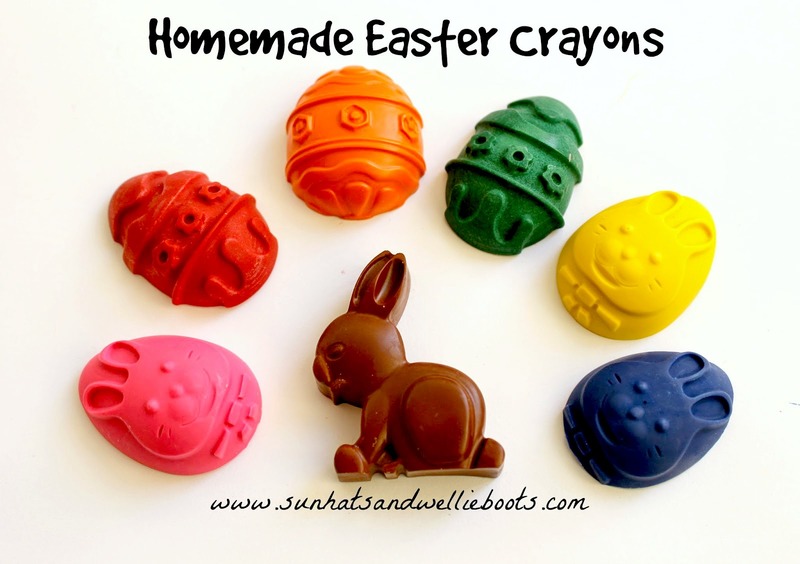 Although these did take a little time to make, they are great to use again & again. 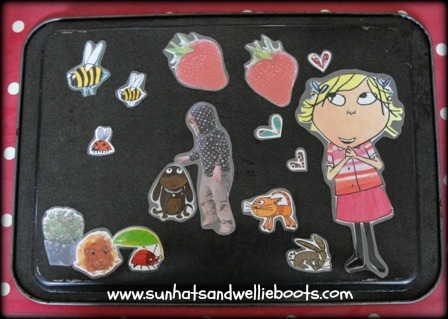 I've stored the magnets in a metal tin, which not only keeps them neat, but also means they are less likely to get lost as they stick to the tin! 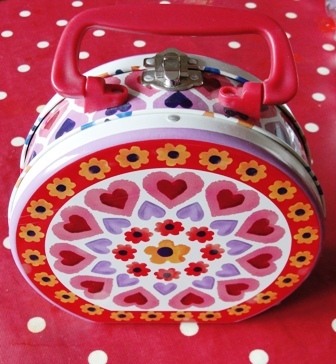 This lovely tin is perfect to take on holiday or car journeys, & the magnets can be easily used on the back of a baking tray. 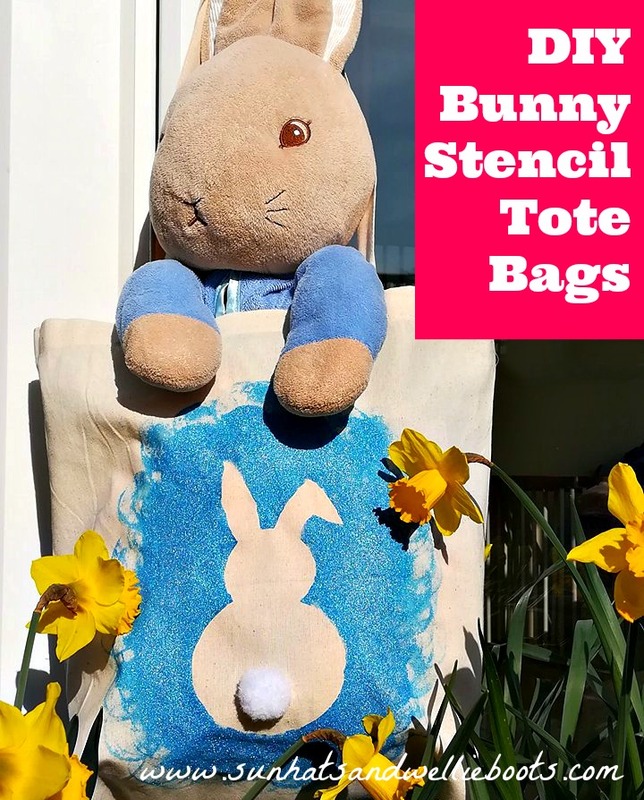 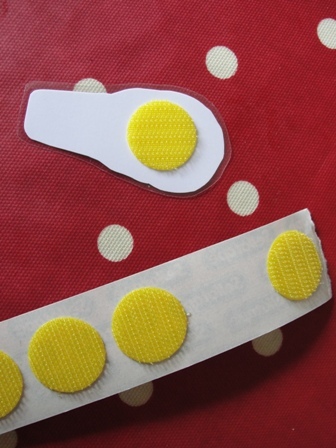 These laminated images can also be used on flannel / felt boards using sticky velcro tabs on the back instead of the magnetic strip. 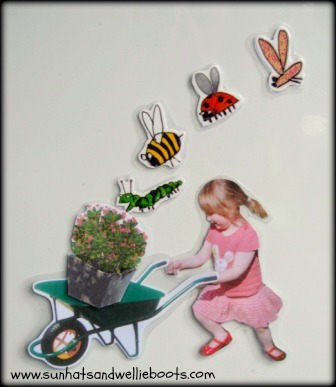 If you use thick magnets you could add the Velcro as well & the images become truly versatile! 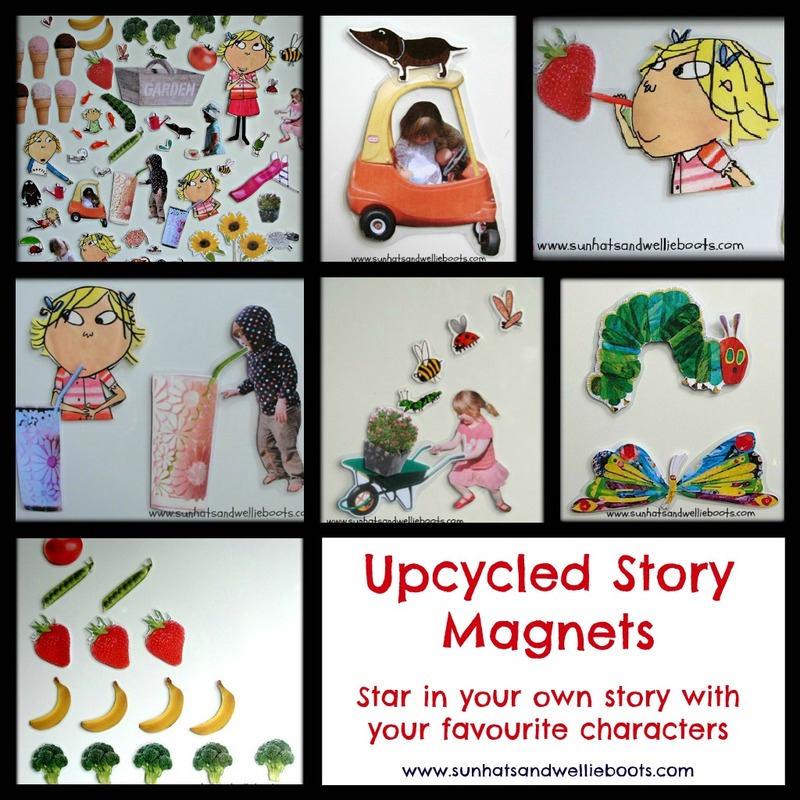 These upcycled story magnets would be great for older children to make, & their own drawings could be added to the set of magnets. 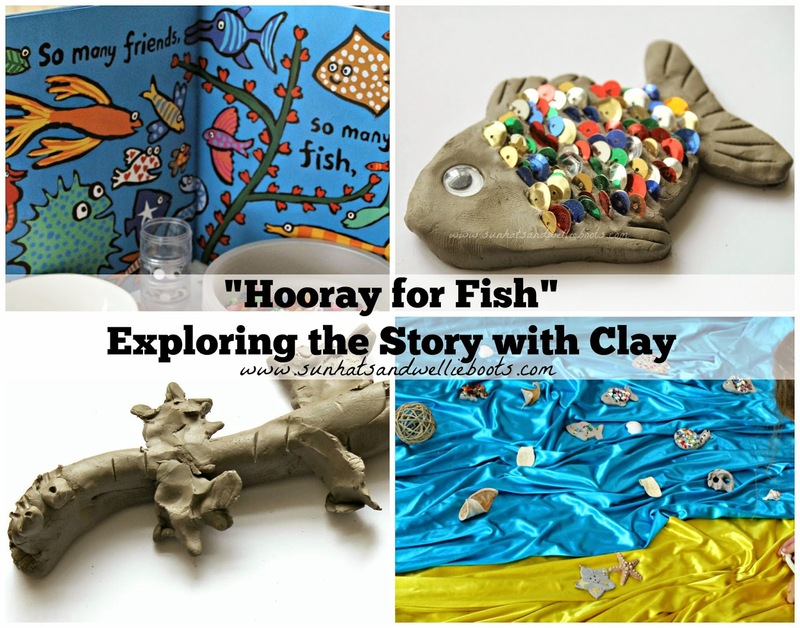 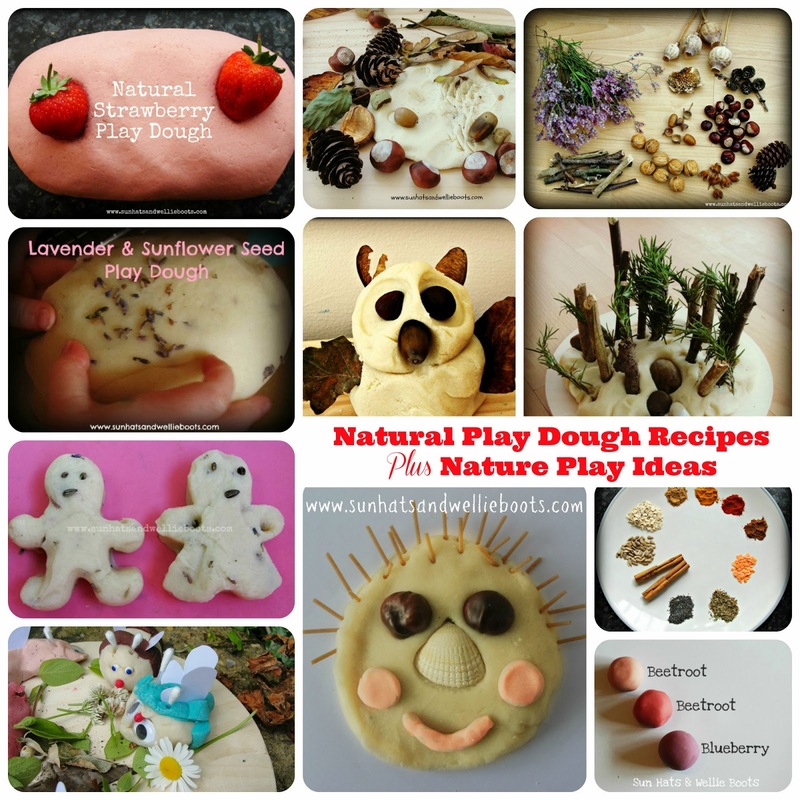 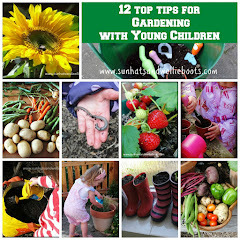 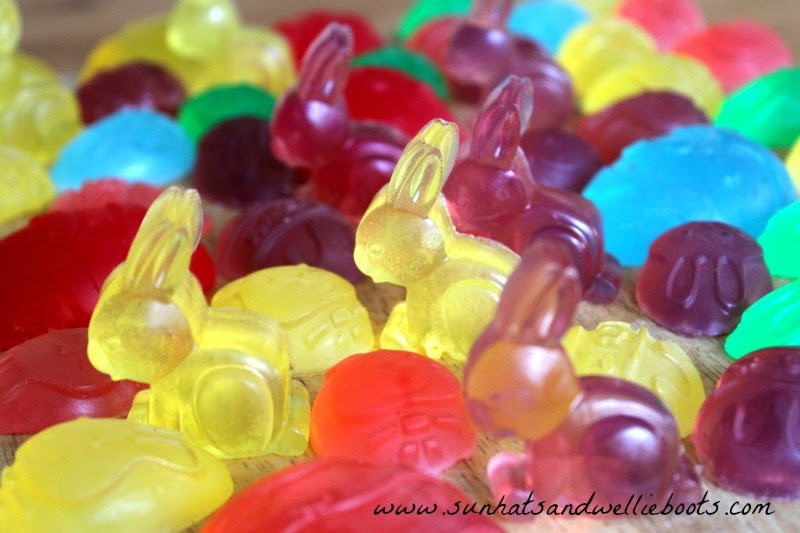 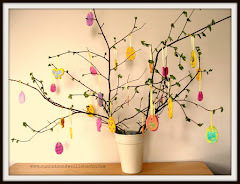 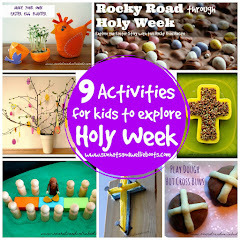 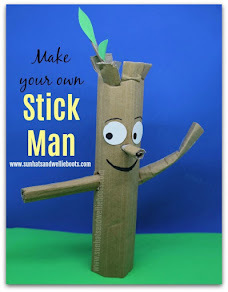 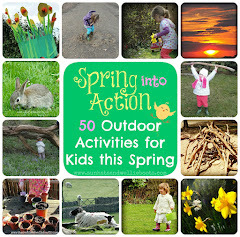 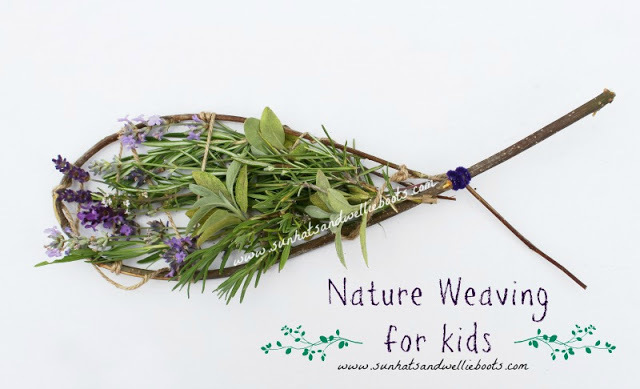 A fun activity for the holidays, whatever the weather!